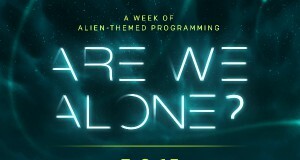 Home / Articles / What did UFO hacker really find? In what US prosecutors have called the biggest military hack of all time, Scottish hacker, Gary McKinnon says it was all done in an effort to end secrecy regarding UFOs and Free Energy technology. In what US prosecutors have called the biggest military hack of all time, Scottish hacker, Gary McKinnon says it was all done in an effort to end secrecy regarding UFOs and Free Energy technology. McKinnon has been accused of hacking into computer systems belonging to NASA, the US Army, US Navy, Department of Defense, and the US Air Force. He is fighting extradition to the United States to be held on trial, and if extradited faces spending the rest of his life in prison, but were his efforts in vain, or did he really find something? In all of his interviews, McKinnon talks about two UFO related finds. He told the Guardian newspaper that he thought what he found was so important that he tried to barter with the government. When first caught he was offered the chance to take a plea bargain and get a three to four year sentence. He turned the offer down to get a lesser sentence, threatening to release everything he found if they didn’t give him a better deal. Unfortunately for Gary, the US government wasn’t too worried about his revelations. Now he faces spending a 70 year sentence in a US prison, where they don’t serve tea and crumpets. McKinnon was inspired by physician Dr. Steven Greer’ Disclosure project. 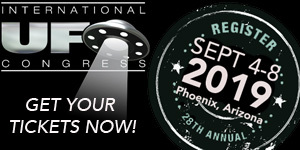 Greer had brought together a number of very credible witnesses to testify in front of the Washington National Press Club that they had knowledge of the existence of Extraterrestrial visitation and that it was being hidden from the public. One of the witnesses said they knew that pictures from space were being altered at NASA’s Johnson’s space center; UFOs were allegedly being taken out of pictures. McKinnon hacked into Johnson’s systems and said he found a high definition picture of a large cigar shaped object over the northern hemisphere. He said that he was so shocked by the picture that he didn’t think to immediately save it. He also said that the file size was so large that is was difficult to view it on his computer. Eventually his connection was lost, and so was the picture. There are rumors that he has talked about the names of two of the ships he saw on the transfer logs, the names of the ships being the USSS LeMay and the USSS Hillenkoetter. Typically Navy ship names just have two S’, an acronym for United States Ship, however there are three S’ here, presumably standing for United States Space Ship. The names of the ships are also significant. 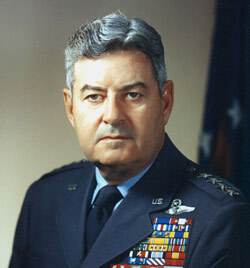 General Curtis LeMay was friends with retired Air Force Reserve Major General and former U.S. Senator from Arizona, Barry Goldwater. 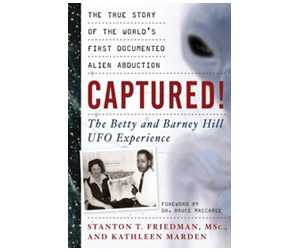 Goldwater believed there was a UFO cover-up deep within the government, and suspected that his friend LeMay knew about it. There were rumors that there was UFO evidence being held in a secret room at Wright-Patterson Air Force Base called the blue room. Goldwater told the media several times that when he asked LeMay about this room, LeMay got upset and told him, “Not only can’t you get into it but don’t you ever mention it to me again.” Open Minds magazine will have an article going more into depth on Goldwater in the second issue. 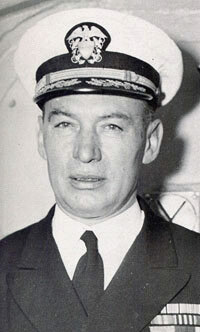 Although Hillenkoetter fought for the end of UFO secrecy, he eventually stopped commenting on the matter. Alleged secret documents that were leaked to UFO researchers, list Hillenkoetter as a member of the infamous Majestic 12 group, an organization rumored to have been made up of high ranking military officers and civilians that was supposedly created by President Truman to initially manage the UFO issue. However, the fact that McKinnon really released the names of these ships is also alleged, thus far there are no source for these rumors. So that is it, the UFO picture that McKinnon saw and the ship rosters were all he had, and unfortunately for him, they were not enough to scare the government into going easy on him. Instead he has been fighting a long multi-year battle to keep from being extradited to the US, a fight that he is losing. 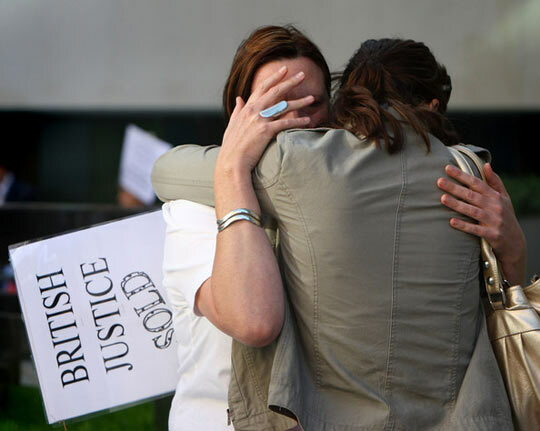 So far every British court he has appealed to has denied his stay. The US government is really throwing the book at him, alleging that he took down military computers making the US vulnerable soon after 911. McKinnon denies those claims, and says that he was able to observe many hackers from around the world accessing the networks he was on at the same time he was on them. Many believe that McKinnon may just be a scapegoat. 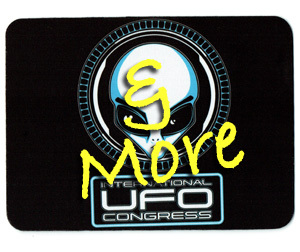 The search for truth on the UFO matter is a difficult one, and some may argue that the secrets being kept are illegal. However, taking illegal steps to get to the truth is ill-advised, and unfortunately McKinnon is learning this the hard way. i’m sure all he really found was a lot of nasa pictures of swamp gas. I believe the USA government has known of alien visits for years. What concerns me is a pot smoking Scottish hacker could so easily break into government sits. They need to enlist him to find ways to secure our secret sites and forget trying to send him to jail. “SK: What did you find inside Nasa? 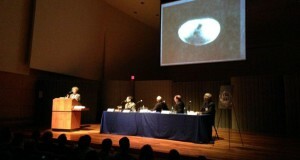 GM: One of these people was a Nasa photographic expert, and she said that in building eight of Johnson Space Centre they regularly airbrushed out images of UFOs from the high-resolution satellite imaging. What she said was there was there: there were folders called “filtered” and “unfiltered”, “processed” and “raw”, something like that. I got one picture out of the folder, and bearing in mind this is a 56k dial-up, so a very slow internet connection, in dial-up days, using the remote control programme I turned the colour down to 4bit colour and the screen resolution really, really low, and even then the picture was still juddering as it came onto the screen. But what came on to the screen was amazing. It was a culmination of all my efforts. It was a picture of something that definitely wasn’t man-made. It was above the Earth’s hemisphere. It kind of looked like a satellite. It was cigar-shaped and had geodesic domes above, below, to the left, the right and both ends of it, and although it was a low-resolution picture it was very close up. This thing was hanging in space, the earth’s hemisphere visible below it, and no rivets, no seams, none of the stuff associated with normal man-made manufacturing. SK: Is it possible this is an artist’s impression? GM: I don’t know… For me, it was more than a coincidence. This woman has said: “This is what happens, in this building, in this space centre”. I went into that building, that space centre, and saw exactly that. SK: Do you have a copy of this? It came down to your machine. GM: No, the graphical remote viewer works frame by frame. It’s a Java application, so there’s nothing to save on your hard drive, or at least if it is, only one frame at a time. SK: So did you get the one frame? GM: Once I was cut off, my picture just disappeared. SK: You were actually cut off the time you were downloading the picture? 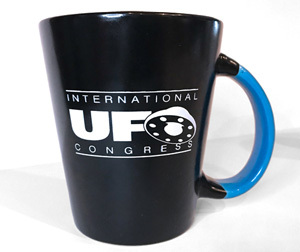 I can now add Alejandro Rojas to the long list of people who do great damage to the belief in UFO’s. Are Nasa supposed to be running a secret organisation or a public one ? Is there a criminal element operating within Nasa hiding this stuff, and yes Gary is a criminal for doing what the American Press should be doing, uncovering the corruption within your Space Agency, We all condemn the foul politics and corruption of third world countries, perhaps the American people should be trying to sort out this group of lieing cheats that tarnish the good people within the Nasa group, and the tax paying USA. 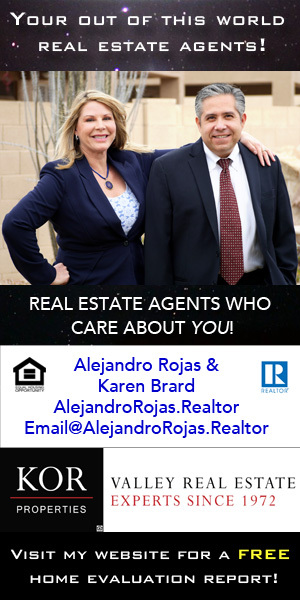 Santi – Actually, there are many stories that talk about what Alejandro mentioned Gary had said – including the Guardian. http://www.guardian.co.uk/theguardian/2005/jul/09/weekend7.weekend2 – The only thing he lists as a rumor was mentioned by two prominent ufologists – which Alejandro mentions may not be true. But saying Gary said none of what is written above is not accurate. It talks about the cigar-shaped object in the large file, which your interview posted in your comment even mentions and the terrestrial files which is mentioned in the Guardian article I included here. The importance of this article is presenting a different aspect of the case in an objective manner. 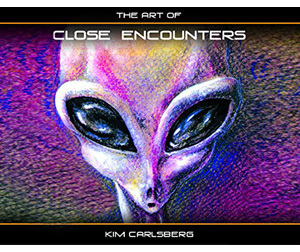 IF YOU WANT TO MAKE A DECISION ABOUT THE EXISTANCE OF ALIENS AND SPACE SHIPS , GO TO MY WEB SITE http://WWW.WORLDUFOPHOTOS.ORG I THINK THIS WILL MAKE UP YOUR MIND. Sad thing is, had he taken there offer he’d be out of jail already free to do what he wants. Since he decided to play hard ball and fight it for 3-4 years now hes facing life and then his own death in jail. Good going ! If NASA had been honest, in any way at all … ever, no one would have any need to go looking truthful information. And then for NASA to make unreasonable claims that he harmed all their computers is shameful. Gary should not have engaged in this illegal hacking. I believe him that there were many more people doing same. NASA and US gov should not have lied to The People. NASA and US gov should not fabricate damage claims. NASA and US gov should not be trying to squash him like a bug, as an example. I would love it if those same NASA pictures, also seen by the other hackers, started to surface on the internet, from all areas of the world. NASA would have lots of explaining to do. That would be great if you could remember where you saw that USSS info and let me know. BTW, Personally I hope Gary doesn’t get extradited. Yeah. 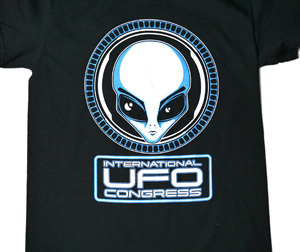 I mean, that was the title “Non-Terrestrial Officers”, and obviously it’s not little green men. So I was thinking: What force is this? And that phrase is nowhere to be found on the web or in official Army documentation or anything. And the other thing was a list of ship-to-ship and fleet-to-fleet transfers – and bear in mind fleet-to-fleet, that means multiple ships – movement of materials. And these ships weren’t, you know, US Navy ships. Again, I don’t remember any of the names, but I remember at the time looking and trying to match up the names, and there wasn’t anything that matched. The mention of ship names came up earlier this year on the Open Minds forum. I’ve no idea where from but i think it was in a duscussion about off world secret space fleet. Might be worth asking Ed komarek. of the iceberg. 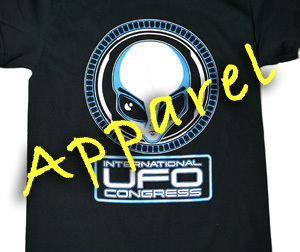 I have seen 2 UFO’S up close and personal. Very well said Santi and I concur! Stupid is as stupid does. This guy is as dumb a negotiator as he is a hacker. The U.S. government didn’t want to expose the scope of the vulnerability. Once exposed they would have to spend hundreds of millions of dollars to revamp security protocols. All very publicly. This moron couldn’t see that silence and cooperation was his leverage for leniency. Instead he is the poster boy for why you should not smoke pot. If all he did was uncover some information about UFO/ET stuff, I hardly think it’s a big deal at all. Many of us in the US are already aware of much of this, and think the excessive secrecy about the whole subject has become downright silly. Frankly, I like the idea of having a space fleet and think we should expand it. That would really stimulate the whole world’s economy and create jobs. I’d be the first to volunteer to go out there! Interesting that they would name ships after Hillenkoetter and LeMay, who were well known to be UFO “belivers”–or simply had all the evidence that earth was being visited. The reasoning for keeping a lid on this goes much deeper, I believe, than simply keeping a lid of secrecy on available technology. It has as much, or more, to do with how people view the world in which they live. What you see determines what you know, and when that changes everything changes. The backdrop is that we live in a very manipulated society. Superficially things are reported in the mass media as “everything is normal – go back to sleep”, and that of course cuts to the heart of the manipulation – a manufactured reality achieved through information control. The depth, breadth, and means of achieving social control through information control would be a fairly lengthy tome. However, if one informs themselves as to some of the means, and keeps their mind open to examining all of the available data one can unlock the matrix and gain a greater appreciation of reality. Robin Williams did an interesting comedy routine on the them of Reality – What a Concept. The seriousness hidden in the humor is simply that without being willing to experience anything and to examine all of the available information one is living only in a limited reality which is no reality at all. The data which escaped from Mr. McKinnon’s hacking and public revelations provides a piece of the larger puzzle – the level of psychic control through information control. Imagine for a moment were his revelations not only public, they are to some extent, but widely accepted as valid. What effect would that have on the general world view of those accepting that data? Behind the curtain the mechanisms of control are run, and they are not run for the general benefit of mankind, but by the few and for the few. If the hoi polloi, us, were to come into possession of knowledge that widely affected the society and culture what would that do to the construction of a planned limited controlled world? only if more hackers had the balls of gary only with better connections. if i knew how to hack i would find something. Someone learn me how to hack. im a gopher willing to dig. 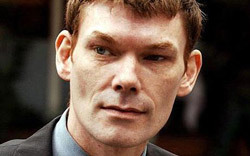 FREE GARY MCKINNON! The US Military Industrial Complex is just angry that this intelligent genius REVEALED the fact that they SUPPRESS FREE ENERGY and ANTI GRAVITY technology! Those evil Anti Constitutional traitors! Thank you Gary! The Information should be out and available to ALL people! The Invention Secrecy Act of 1951 is a traitorous anti-Constitutional law that is used to suppress free energy technologies and anti gravity. With a great knowledge like that. I don’t believe he’ll stay too long in prison. There surely will be lots of people who would want to hire him. But these things will happen in secret for sure! If McKinnon does end up in an American court of law, Won’t the government have to produce the images and data in question in order to prosecute their case? If not i assume that the charges will have to be restricted to the physical damage claim regarding the computers he allegedly hacked and caused damage to. As we all know, such damage cannot exist, Nor could it be proved that said damage was caused by hacking by McKinnon or anyone else, Therefore a fair trial cannot be expected to take place as expected. I suspect a more closed prosecution will be the order of the day since the material concerned is of such a sensitive nature. Most of the material he would have seen is probably in the public arena already, Due to the disclosure movement now well underway throughout the world. Good Luck Gary!! 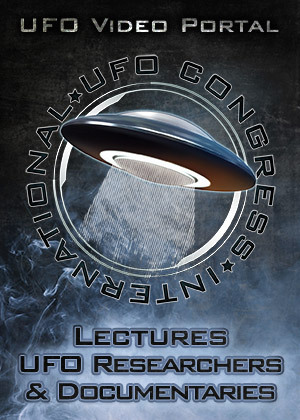 We (ufologists) would love to see some level of transparency from our world leaders concerning these matters. However I’ve come to the conclusion there is huge money involved here. Simply look at google search of area 51. Just in the last fifty years the reverse technologies aquired from (crashes) is unmistakeable. by our world governments. They seem to hide behind International laws that have clear boundries concerning secure air space. This is the law of our planet and with out these laws and boundries it may get crazey around here (on earth). If we want to be included with our galactic family, I think we need to grow up. This may mean dissolving these boundries to some degree and to accept the U.N. as the leader of this planet. We (earthlings) need to be as one people under God with liberty and justis for all. As one planet, with equal partnership and sharing of natural resourses, we will make a quantum leep forward. Our earth family needs their help as much as they need ours. The last fifty years of progress will seem small compared to the next fifty if we all just have Open Minds. I’m confused concerning some world leaders. They offer mankind peace and justice then drop bombs on women and children. They give us hope by offering “change” and then continue with building weapons of mass distruction. It’s no wonder to me that we are seeing an uptick in sightings. We the people should lead by example not empty promises and back room deals. The people who risk their freedom in the name of disclosure need to have some level of support. If you were on the other side (our galactic neighbors) would you want human beings to escape earth. I dont think so. They (other beings) need us as much as we clearly need them. I’m glad the Pope declared the obvious “they are here”! Now it’s time we set aside our differences between nations and TRULY become one nation under God. The harm we have done to mother earth with our bombs “to the atmosphere” we can’t reverse on our own. Science can’t help us now so grow up earthlings. The visitors may hold the key to our own survival. However we must give them assurence that we really can “change”. Remove ALL weapons of mass distruction as a good faith promis. The wealth that we obtain by free trade (between earth and our galactic family) can’t be measured in dollars or any other currency on the rock we call home. 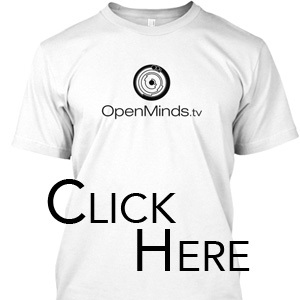 Keep an “Open Mind” and offer peace and good will to those who watch and wait for our next move. It’s the choice of the people with free will under the most high Jesus Christ. You make up your mind, astroid belt or hope for the innocent ones who call planet earth their home. Now it seems a one man army has undone all this hard work by HACKING into the US militarys’ computers. Now they (the us government) has somthing majior on its side against us. All the hard work and investigation is being spoiled by a radical computer geek. Now the military can say ‘see we told you these people are nuts and dangerous”. I feel for your girlfriend because this is what we ask of you. First drop the “I was high on pot” deal because we know you couldn’t have been high for all the hours it took to HACK into those systems. Then truely be a maryter for the cause and turn your self into the FBI they are the least likely to try and gain information from you through military means. Once your in the states we suggest you lose your mind to be placed under twentyfour hours servelance and not placed in the general population. Next explain to the judge you have no excuse for your actions and deserve the sentence his Honer deems right and just. Then we think you should ask not to be placed in Cuba with the rest of the extream minds of our generation. Gary once you do these things wait there for your support (i.e. girlfriend) staff and see if she still crys real tears for you and if she does get married! This is what we in the states call “taking one for the team”. Hopefully if you take our advice you will have a monster deal with a book companie worth millions at which time (free of the drugs) you can ask yourself was worth it? 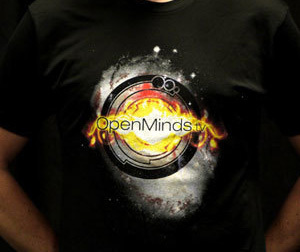 Alejandro I have been an avid follower of the Open Minds materials. We would like to also be a contributer to the web page and the magizene. However I don’t agree with the comment you made about Garys’ statis. He has made an act of war and if he really is for our cause he needs to own up to His actions. doors is ok within reason. You coming out with supporting that “Gary escapes Justis’ makes me think your giving monitary or emotional support to a criminal. He is an enemy of the state and should be treated as such. It’s true we need disclosure however a peaceful one. This is an outrite attack to the US and we need Gary to inform us of the methodology he used to accomplish it. We also need to know who were his helpers. What Gary didn’t understand was the US offered him a job. He could have escaped judgement if he only agreed to help protect our systems from other computer HACKERS. It’s clear other countries would love to know his methodology. directly affects his freedom. We’re asking you to reverse your stance on extradition to US for Garys sake. My feelings ara known regarding Garys case. 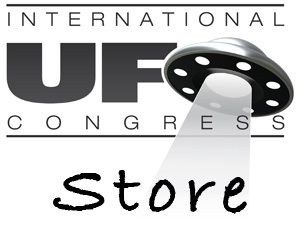 We’re sympathetic to ufologists’ who fight to disclose this information. A large group of people have PEACEFULY come out saying the average citizens need to be in the loop. 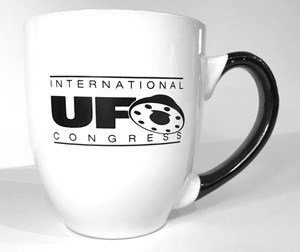 A person of your stature in ufology should not incourage these illeagle activities (i.e.HACKING). You should encourage Gary to turn himself in to the FBI so they can figure out where the weakness in the systems are. We need Garys help. Please encourage Him to do the right thing and turn Himself into the fBI before the “dead or alive” order is givin. We want transparency in the worst way. However doing it through “black” operations and back room deals should not be part of Open Minds ideology. Alejandro there’s time to change your stance concerning Gary. Time is runing out for Gary. He needs our support but it should be from peaceful and non-threatning groups. We need to be smart regarding our methodology and continue the fight for disclosure in a leagle and peaceful manner. Gary the threat to your safty is very real. From our experiance we can assure you our black opps. in the US are far from clueless. They are highly mobile and every one of them would love to have a notch on their weapon named Gary. 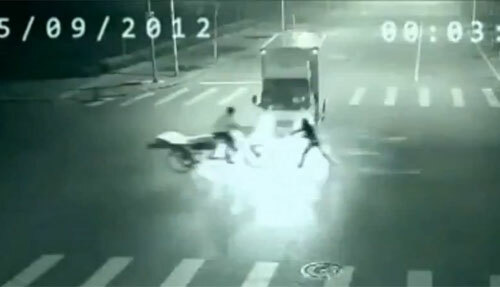 His intent was dicloseure but his actions could be deadly. How many others are doing it? It seems they just want to make an example out of him. He says that he’s really just an amateur that “got a book and some info off the Internet. Is that a joke or what? If he really was also warning them that their security was ineffective they can’t seriously consider him to be much of a hacker. He ACTUALLY made it in! The attempts to prosecute him confirm this…and our brave SEEKER OF TRUTH has NOTHING. No images, no downloads, no printouts, NOTHING! I know there are aliens, I’ve seen space ships, I’m SICK of blurry video taken by people suffering petit mal seizures and passing tractor parts off as crashed space ships! 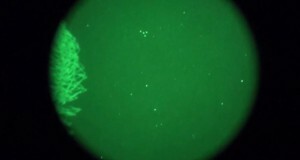 I have seen dozen of UFOs very close and I was not alone watching them. They were flying very close to the ground, helicopter level. Nice beautiful bright orange and very intelligent moves. In any case, there are UFOs and aliens without a doubt. They do not manifest themselves directly with us and that should give you a clue whether they are friendly or not! That they work with governments? What si their interest expect perhaps for hybrid reproduction but again, why would they need permission from us? Gary mentions a cigar shaped object and a need to airbrush it out. When I think about what that means its tells me spy satellites. They’re airbrushing out friendly and enemy spy satellites to disguise NASA’s blatant function as a subsidiary of the Air Force. You don’t want the enemy to know what your satellites look like because he can infer capabilities from the high resolution details. You also want to pretend you’re not using these space based telescopes to monitor enemy spy satellites. Has anyone come across the Codenames — PEMBROOK and/or LONESTAR ? ? ? Mc kinon is flawed genius. The guy came close to reveal it all but , hell he was doped,what a looser man. He closed a doorway for others to get more info. I think he has caused more of damage to UFO disclosure then help it. But the man has full right to get scared, he was pushed by the governments and he caved in. Probably disclosure is now left on more courageous people to happen. I would love to believe this but really? Probably not going to read anymore than that. It is believable, since our galaxies and solar system is very large and limitless. Although, we can’t really know for sure if Area 51, NASA, and more, know much more than they lead us on with. But, assuming the galaxy and solar system being limitless possibility, Area 51 is a test site for the U.S Government and Military, and is considered a restriction zone. Keep in mind, the Government has censored certain satellite pictures of the place on the map.. I understand they want to hide very dangerous information from the public, since extra-terrestrials could cause panics throughout the world. In our history, people make stories of these circular shaped spacecrafts, or UFOs, which are created by these extra-terrestrials, or aliens. 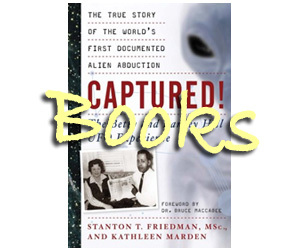 Aliens, or extra-terrestrials, and UFOs or alien space-crafts, have been so-called “sighted” and people have been abducted. You can look up these stories on Bing or Google’s search engines. Whether or not these are real, is up to YOU. It’s controversial that extra-terrestrials exist, and is VERY possible, since we could not be the only life-forms in the entire galaxies. Even scientists admitted that our galaxy is limitless. Unless it’s proven later on in-life and is disclosed as a fact that extra-terrestrials exist, they’ll remain a figment of our imaginations. As if we didnt live on the sameEplanet. 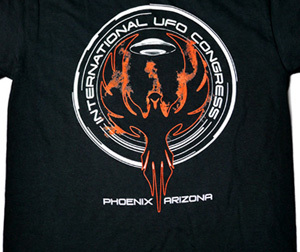 If you want to see a ufo, you must take time to occasionally look to the sky, as well as possess the ability to suspend your disbelief, ie; have an open mind. Then you may eventually observe something unconventional. In all my years, I have seen several things that defy explanation, and since I am not given to hallucinations, i can tell you unequivocally that I have seen things that fit the category. Anyone wishing to dispute what I say, is therefore calling me a liar, and I cordially invite them to do so in person, and I strongly suggest that you have your facts in order before doing so. I should also add that since you did not witness what I did, that you are distinctly unqualified to comment as though you were there. Furthermore, if you are unable to “wrap your mind around” this subject, then I could not care less what you may think.